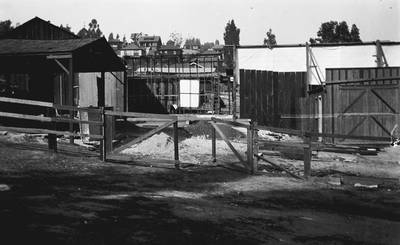 "Keystone Broncho Film yard, 1912"
Studio yard for the Keystone Broncho Film Companies, 1712 Allesandro Street [Glendale Blvd. ], Edendale, California. Los Angeles area, 1912.